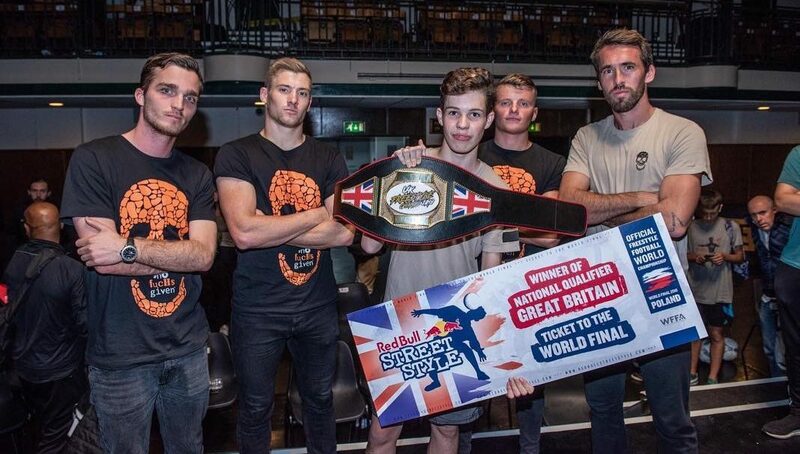 With a spot at the Red Bull Street Style World Finals on the line, the best freestylers in the United Kingdom and Ireland collided in the 2018 UK-Ireland National Championships. From its boxing match-style layout to the crowning of a new champion for the first time in eight years, these are the eight biggest highlights from the high octane event in the heart of London. As we creep into the final months of the year, the final spots in Poland for the Red Bull Street Style World Finals are all getting snatched up. 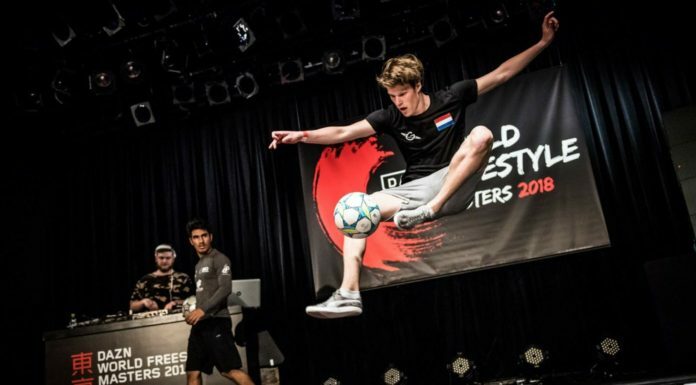 With less than two months remaining until the massive spectacle, anticipation is rising as some of the world’s most talented freestylers are claiming their place on the global stage. The next event on the conveyor belt of freestyle national championships was a highly anticipated one. 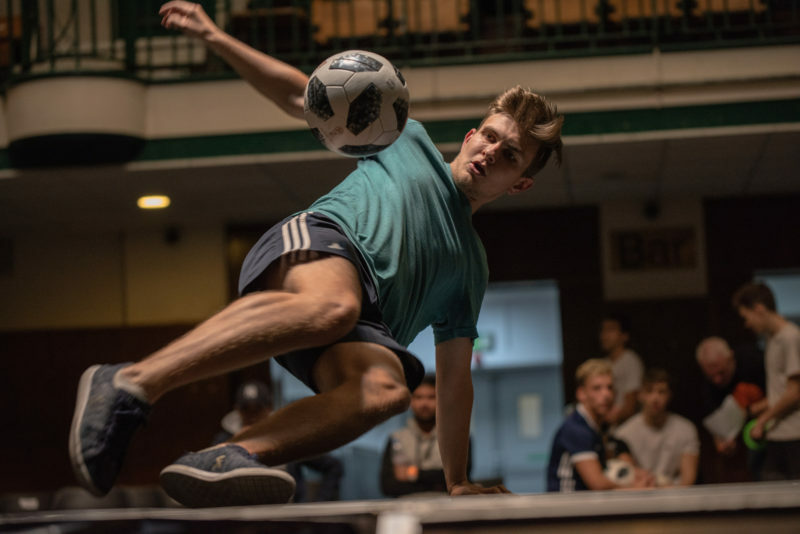 Taking place in a little city called London, this turned out to be the biggest United Kingdom and Ireland Freestyle Football Championships to date. 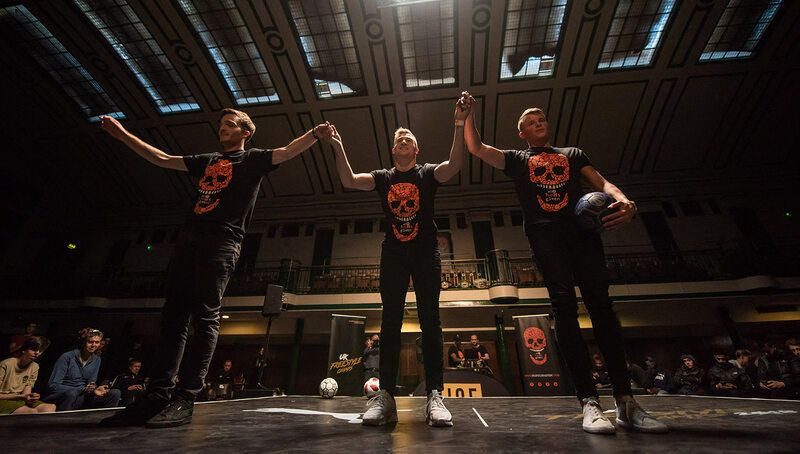 This time independently organized by eight-time UK champion Andrew Henderson and a Premier League winner in Leicester City’s Christian Fuchs, the pair pulled out all the stops to deliver a super competitive event that would crown champions for the UK, Ireland, Sick 3 and Rookie categories. After a long day full of intense freestyle action and drama, we revisit some of the highlights and talking points from one of the most memorable events in UK freestyle history. After winning everything there is to win in freestyle, many would say that Henderson is one of the all-time greats in this sport. They might have also been a little surprised when they learned that he wouldn’t be competing in this one. While Andrew hasn’t given any confirmation if he is retiring from competing altogether, this paved the way for a new champion to be crowned after he had successfully won this title a staggering eight years in a row. Looking at the list of competitors, it was the odds-on favorite, boy-wonder and all around phenomenon Griffin Berridge who triumphed to first place and received his ticket to Warsaw despite not having the easiest of routes to the final and battling bouts of cramps throughout the day. I even had to hand him my foam roller in the final, mid-battle, just to see him through to the end! The 17-year-old appears to go from strength to strength with each competition he enters and is certainly one to look out for in future — a deserved champion of the UK this time around. 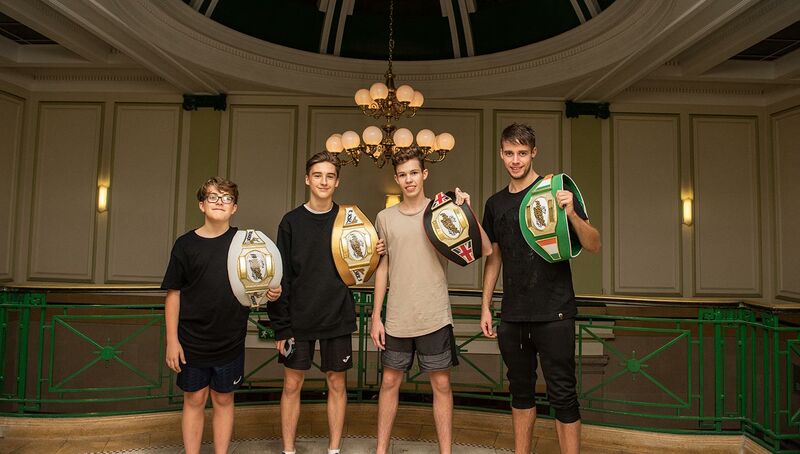 The Irish Champion was also sealed by Conor Reynolds who retained his title from last year and will also compete in the World Finals in November. 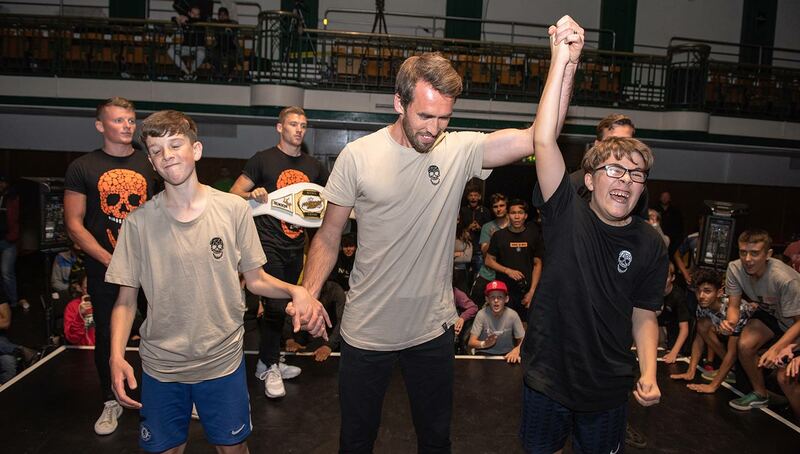 The remaining matter of Sick 3 was comfortably won by newcomer Alfie MacNally, blitzing that event with two insane combos in the live streamed finals. The term ‘Rookie’ is constantly getting re-evaluated with each competition it seems, as the level is scarily on the rise. 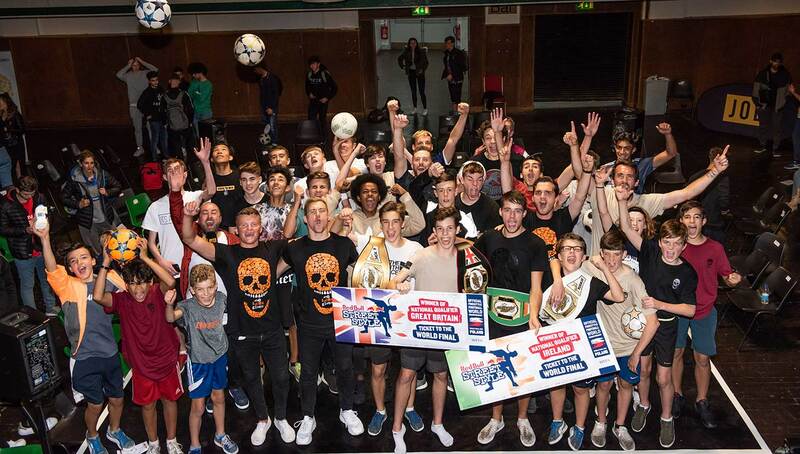 This year’s Rookie competition, the second-ever after making its debut last year at the UK champs run by the AFFO, was once again tightly contested and brimming with excitement from a lot of the next generation freestylers. The title was ultimately taken by Alex Cid, who displayed many a good battle throughout the competition. 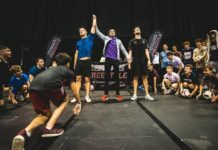 He eventually overcame arguably one of the most improved freestylers at the event, Malachy Crann (Ireland) in an exciting rookie final. These two also participated in the main event, and both made the top 16 with their qualification. Malachy even went on to reaching the top eight, which is testament to rookies really holding their own against the big names. 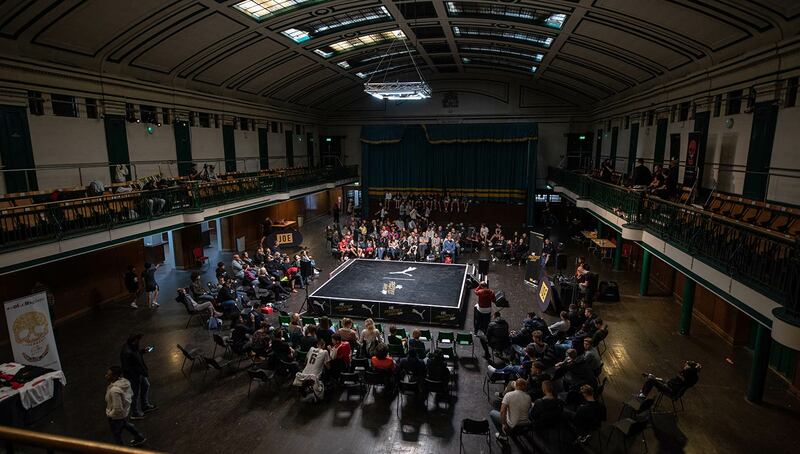 York Hall in Bethnal Green, Central London had the honor of bringing all these freestylers under one roof to slug it out. Upon arrival it was clear to see why many boxing events take place there. 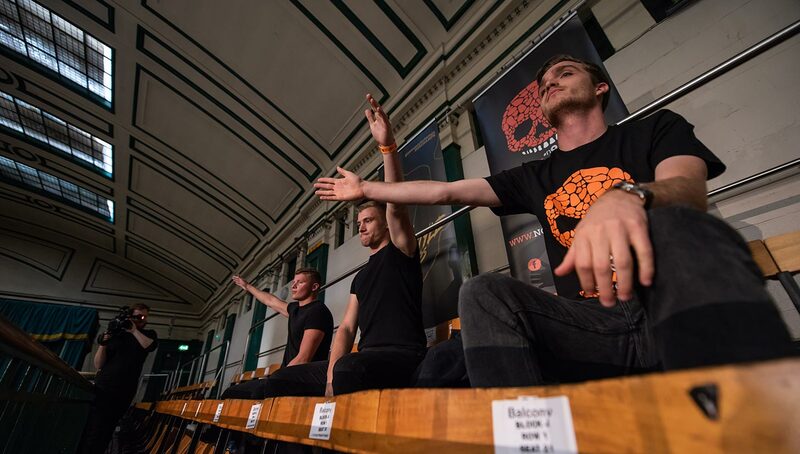 The layout of the hall, which had a designated space for the stage in the middle with tiered seating along the top, was ideal for spectators and more importantly provided a nice clear view from above to the watching judges. Make no mistake, this venue ticked a lot of boxes and still leaves plenty of growth for further development should this competition take place at this very same venue again. One general consensus of a criticism though would have to be the lights used to illuminate the stage. These were very powerful, but because they were directly overhead of the stage, they made soles, uppers and any trick requiring to look upwards, a bit trickier than usual. Predominantly relying on UK grime and chart rap, this was actually a breath of fresh air and made a clear-cut contrast to the heavier trap and dubstep music associated with events like Super Ball. Music is obviously a subjective taste and undoubtedly can have an impact on freestyle performance, so it is important to try not to rock the boat too much. Both genres work for freestyle competitions, and it will be impossible to please everyone in this department for sure. However, what was really unique was the DJ changing up the song for every person’s round. This means there were six different tracks played, changing every 30 seconds in a typical 1v1 battle. Having not experienced this at any other freestyle competition before, this made things really interesting. With its fair share of pros and cons from a freestyle perspective, this method certainly seemed to keep the spectators on their toes. And ears. Forty-five-second routines were used to form and rank the top 16 of the pros and rookie competitions. The routine qualifications seemed to produce some eyebrow-raising results in terms of rankings that then had a massive impact on who faces who in the next rounds, leaving some confused or frustrated. The judging panel formed by Henderson, Gautier Fayolle (France), and Jamie Knight (UK) would have had a tough time to combine their views and adequately rank such a large number of routines. This is a format that some will say is outdated and doesn’t feel remotely like a battle experience, and when faced with a large amount of participants it becomes a lot to try and remember for the judges. But alas, this is a competitive sport, and everyone has 45 seconds to show what they can do and decide how they want to use that time on stage. 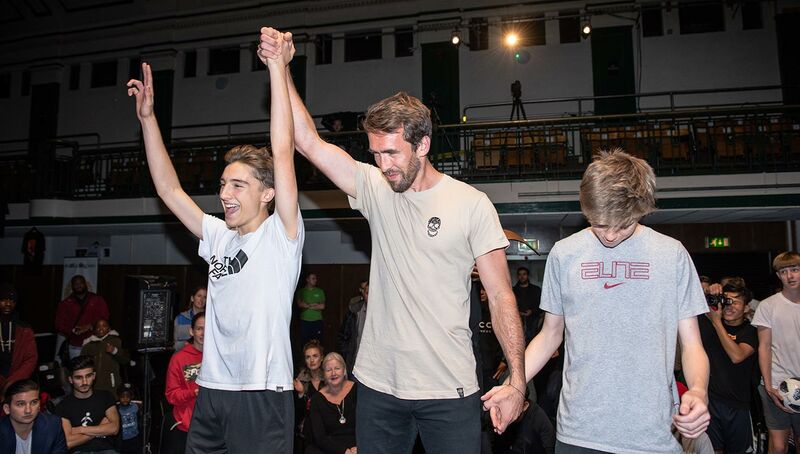 Having the likes of PUMA, Fuchs’ clothing brand No Fuchs Given, and a media outlet in Joe as partners for the event was well and truly used to full effect. It’s things like this that enhance the experience for anyone who attends the event, and it’s also a gentle reminder that (crazy theory incoming here) the world doesn’t completely revolve around freestyle. There is a reason my bags were even heavier returning home from London and that’s because it was great to have PUMA and No Fuchs Given products handed out for free at the event, not just to those taking part either. Joe also did a great job in giving the event that professional edge in the way it was run, filmed, and shown to others. Popular presenter Rocket Long also did a great job in bringing some added energy to hosting the event on stage. 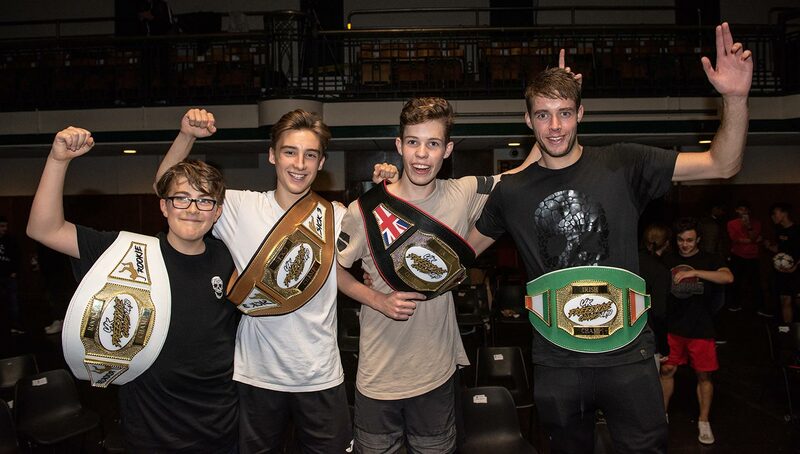 Just to reiterate that boxing feel to the venue a little more, it was a great touch to give the four finalists from the rookies and pros their very own moment to really milk the spotlight. They had a lit entrance to walk through the crowd and make their way to the stage one last time, complete with smoke and a massive security guard closely following them just to really give the serious image of what’s coming up. A unique twist on your standard trophies as well, these were instead replaced with massive prize belts, the kind you would typically see in boxing, UFC, or wrestling. This was a cool way for this event to stand out from others while really emphasizing that competitive feel that it brought. 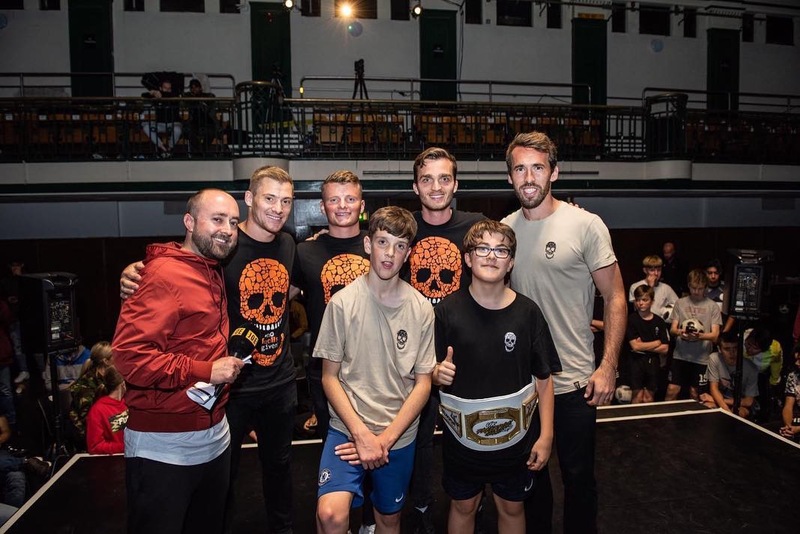 Of course on behalf of all the freestylers there, we have to give a massive thanks to everyone who made the event possible, mainly the duo of Henderson and Fuchs. It’s clear that these guys work well together and wanted an event that serves its purpose while also being memorable and something to build upon. Andrew has already come out and said that he is listening to feedback and keen to repeat this competition again, but simply make it bigger and better each time around. Not lacking ambition at all, this championship was actually the first where it had a venue all to itself and complete independency rather than being an accessory to a pre-existing event. It also managed to break the record for participants at a UK champs, surpassing 50 competitors. It is evident that Christian Fuchs genuinely appreciates and sees the appeal in freestyle in the way he talks about it. 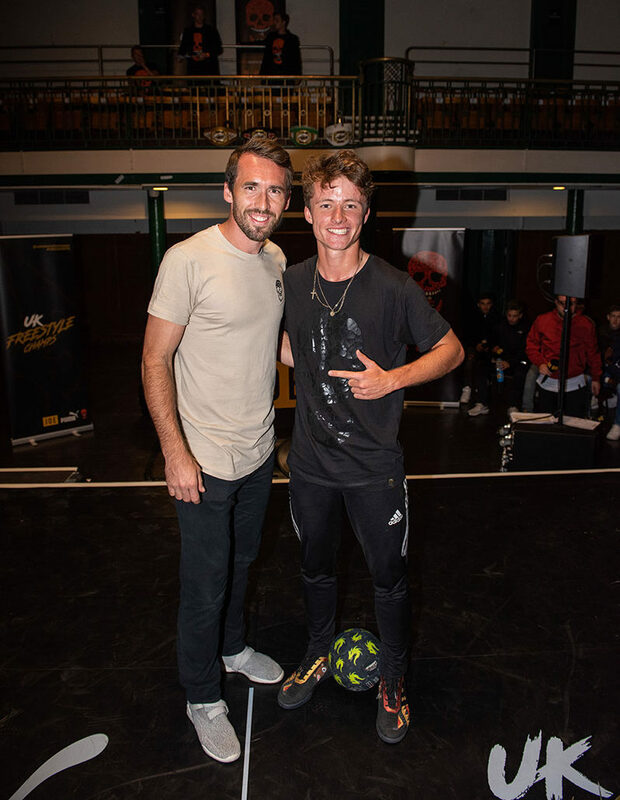 Not to mention being exceptionally down to earth in interacting with all freestylers, very different to a lot of usual footballer stereotypes. According to Andrew, Christian was spending four hours a day to tend to event-related tasks and planning, all while fulfilling his duties as a Premier League footballer, while the two of them split the cost of everything down the middle 50/50. Having someone as experienced as Andrew taking the reins will surely help to guide the sport into a positive direction that gives the athletes the attention that they deserve while he is able to do things his way. 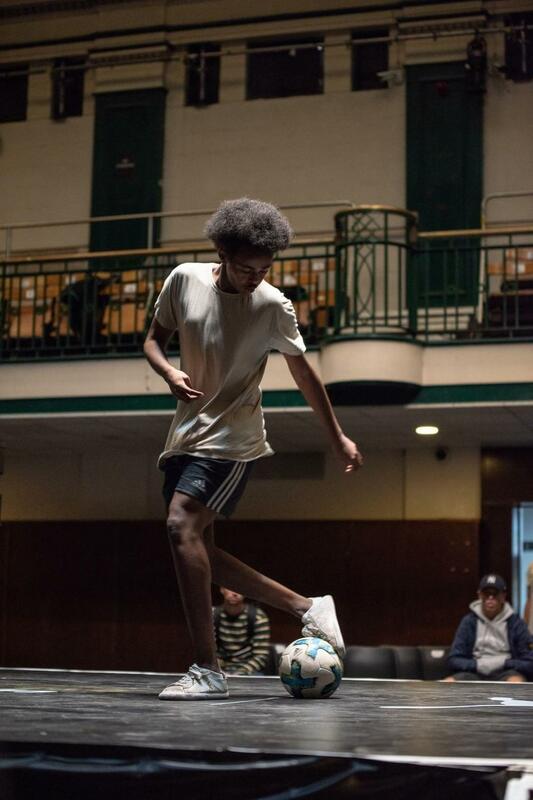 Taking all into consideration, it was a very enjoyable and memorable event that you cannot help but feel will breathe new life into the UK freestyle scene, especially in a competitive sense leaving many motivated and wanting to go even further next time around.